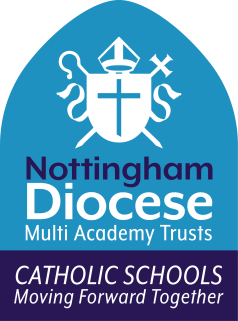 We follow the ‘Come and See’ syllabus for RE as in all Catholic schools across the Nottingham Diocese. The staff and governors strive to nurture the seeds of faith in our children and their families and to support families, staff and parish in building a community of faith in which the young can grow socially, emotionally, physically, academically and spiritually. The basic question (belief) for each term is explored through three themes:- Domestic Church, Local Church and Universal Church. This ensures a rich mix of learning about Christianity and other World Religions through themes linked to the liturgical year. PSHE & collective worship is underpinned by the Gospels and our Statements to Live By which we share weekly with the children who then intern use to lead their own acts of worship across school. We have an active and committed chaplaincy team in year 5 who supported classes across school and work with our Trust chaplains weekly indifferent year groups. Masses & celebrations of faith are planned in turn by all classes from FS 1 to year 6.